Hurry and register for Leaders Being More. Only a few spaces left. NIKKEN Vice President Jeff Isom & millionaire entrepreneur and internationally renowned author and speaker Cameron C. Taylor along with top field leaders will facilitate this program. 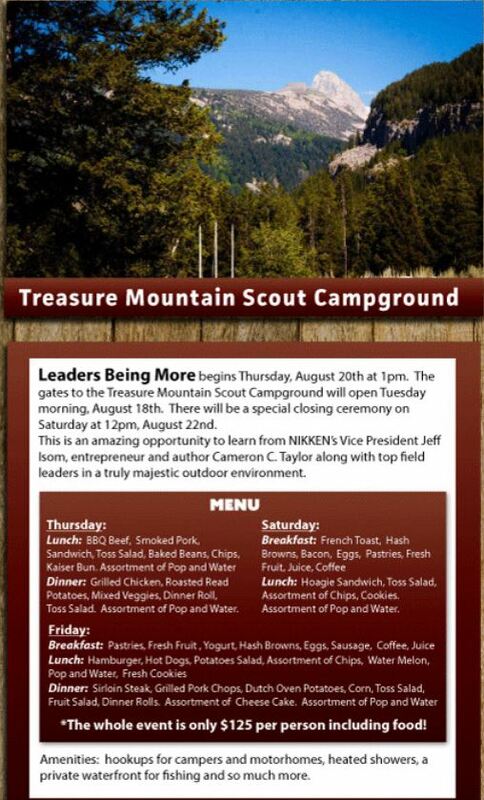 Leaders Being More is held August 20th - 22nd at Treasure Mountain BSA Camp in the Grand Tetons. The investment is $125 per person and includes catered meals and use of facilities including hot showers! If you want to raise your game, I encourage you to come to Leaders Being More and change your life! Click here to go to eaglewellnessexpo.com and click the Leaders Being More Button to fill out your registration form. Hurry because time is running out! Listen to The Saturday, August 1, 2015 Summer Sizzle - Keep Calm and Kaizen On Call - Rogers Team Kaizen Call #25. July was a scorcher and I'm not talking about the weather this time. More people were Quality Enrolled in the Rogers organization than ever before, we saw some Silvers break and we've seen a ton of new Customers come on board. Is it all because of this awesome new tape called DUK? I highly doubt it. We're seeing new growth because people are really embracing Nikken 2.0 or the New Nikken. 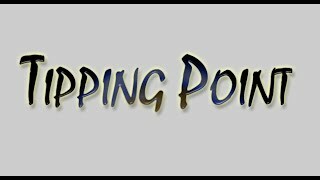 Regular habits of registering Customers and building personal volume are starting to duplicate. Nearly 500 people in North America have achieved the QE status for six months in a row. We'll be talking about what this means and how we can build from here. Summer is always a time for us to vent our frustration about hot weather and it is also a time for us to let our hair down by being outdoors more. For me, I've been having a ton of fun learning how to ask questions better and seeing how long it takes to weave Nikken into the conversation. When you have 'mummy wrap' on your arm, it's easy to start conversations and ask questions. But what if you don't? 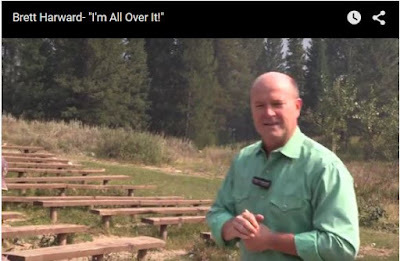 Take six minutes and watch this fantastic video by Eric Worre on how to ask better questions. I guarantee it will put a little sizzle into your sharing and you won't have to follow my lead into the surgical center. Trust me, when you wear one of those robes that don't cover your backside, the sizzle outside is the last thing on your mind!"